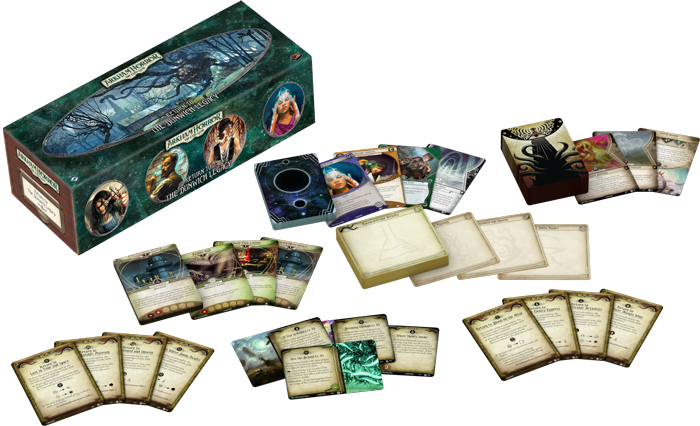 Order your own copy of Return to the Dunwich Legacy at your local retailer or online through our website today! When you first experienced The Dunwich Legacy, you left your city behind for the first time to investigate the disappearances of two of Arkham’s esteemed professors. Your search began with an exploration of Arkham’s Miskatonic University and the Clover Club, before taking you to a remote town on the brink of madness. You thought that you were safe, that the case was closed… but the eyes of Arkham once again turn to you for aid. And this time, the danger is greater than ever. Before you board the train to Dunwich, you must go back to the beginning and return to Arkham’s seedy underbelly in search of information. 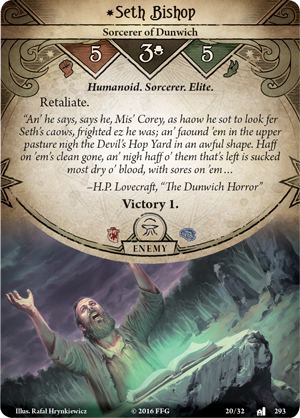 Today, we're pleased to offer you a closer look at the Return to The House Always Wins scenario from the Return to the Dunwich Legacy upgrade expansion for Arkham Horror: The Card Game, now available for pre-order at your local retailer or online through our website! You enter the Clover Club in search of Dr. Morgan. The speakeasy is bustling, filled with patrons looking to relax and drink, or make it big. Comfortable leather couches, mahogany furniture, and an array of beautiful art greets gamblers, tempting them into the life of the would-be affluent. The mesmerizing melody of a torch singer and her band grows louder as you approach the nearby stage. Mobsters and business-types chatter quietly over the music, wheeling and dealing the night away. You don’t appear to be in much danger, but you cannot allow yourself to lose track of your mission—you are here in search of the professor. Perhaps someone here knows where he is. While the club may look familiar at first glance, there are new, darker secrets lurking just beneath the surface and there are new shadowy areas of the club to explore. 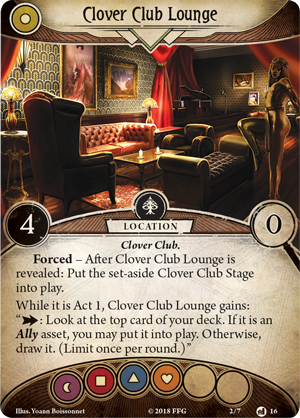 Some cards in this expansion, including locations like the Clover Club Lounge (Return to the Dunwich Legacy, 16) are alternate versions of those from earlier sets of Arkham Horror: The Card Game. In order to keep the mysteries of your investigation alive, the front side of these cards bear the same information, numbers, and icons as their original counterparts, while the back side reflects the card’s true secrets. There is no way of knowing what dangers you’re stepping into—you must simply steel your nerve and embrace the unknown. In the shadowed rooms of the Clover Club, the wealthy and powerful mix with the lowlifes of Arkham’s underground. Vast amounts of money are constantly switching hands and backroom deals are negotiated with only the occasional disappearance. Anyone in the crowd could be a threat, but you may be your own worst enemy. In this gambling den, you will be forced to make difficult decisions and deal with the consequences. 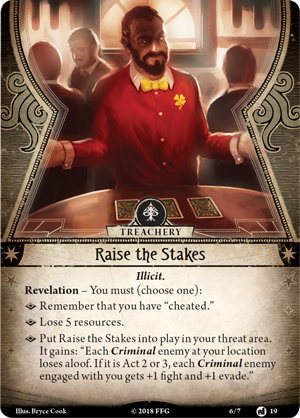 You may get caught in a tight spot and have to Raise the Stakes (Return to the Dunwich Legacy, 19), either cheating, losing five resources to bribe a dealer, or adding the treachery card to your threat area and drawing the attention of the Criminals around you. 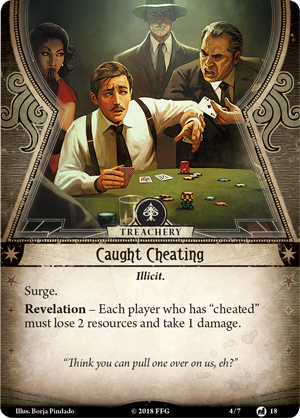 Then, if you are Caught Cheating (Return to the Dunwich Legacy, 18), both you and your cheating allies must lose two resources and take damage—before you draw yet another card from the encounter deck and face whatever further punishment fate has in store! When you face the heightened threats that lurk in Dunwich, you will need all the allies you can gather, and even old enemies may become new friends. 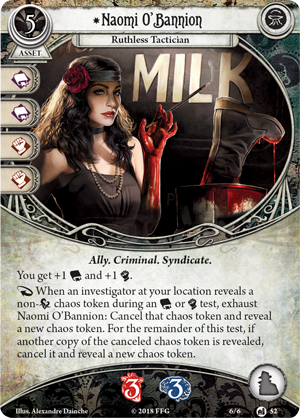 While she once acted as a threat just out of sight in Arkham’s underground, Naomi O'Bannion (Return to the Dunwich Legacy, 52) steps out of the shadows to join you in Return to the Dunwich Legacy as an Ally that players may have the chance to add to their investigator decks. While the daughter of the head of the O’Bannion crime family is on your team, you gain bonuses to both your intellect and combat, but her greatest strength is her cold-blooded ability to manipulate the chaos bag to further her goals. Naomi O’Bannion can cancel an unfavorable chaos token drawn during a combat or intellect test and reveal a new one. Not only does she provide you with a second chance at success, she also guarantees that you will not repeat your past failures. After all, Naomi specializes in making sure her associates learn from their mistakes. While getting involved with the O’Bannions may place you in a precarious position, Naomi’s skills may prove well worth the risk if you choose to incorporate the new Ultimatums included in Return to the Dunwich Legacy into your games. The Ultimatum of Failure adds an additional auto-fail token to the chaos bag, while the Ultimatum of Broken Promises removes the elder sign token from the chaos bag entirely. But the ultimate mission for the tactician, Remind Me Not to Piss Her Off, tasks you with defeating Seth Bishop (Where Doom Awaits, 293) while Naomi O’Bannion is at your side. But this may be a more difficult task than you remember—there is no telling what the Sorcerer of Dunwich has been up to since your first journey to Dunwich so long ago. Bishop may not even be the greatest of your problems. If you become a liability, Naomi herself will prove far deadlier than anything the Mythos could ever manifest. 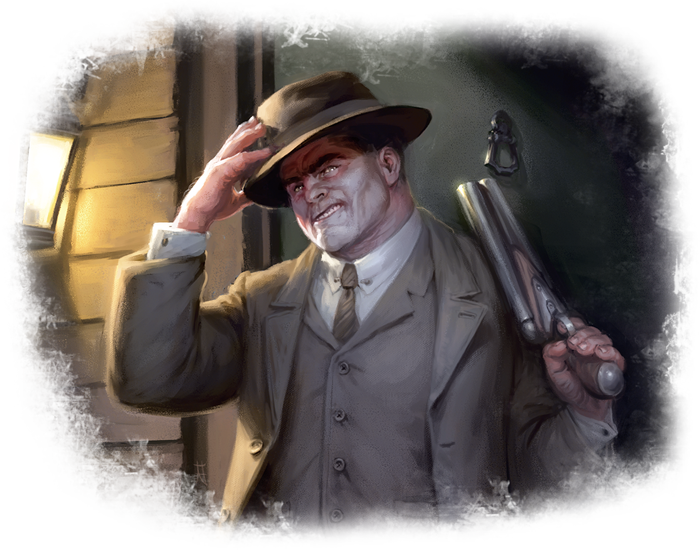 Step into the smoky rooms of the Clover Club, meet with the O’Bannion family, and cut whatever deal you must to ensure the safety of your city as you Return to the Dunwich Legacy! 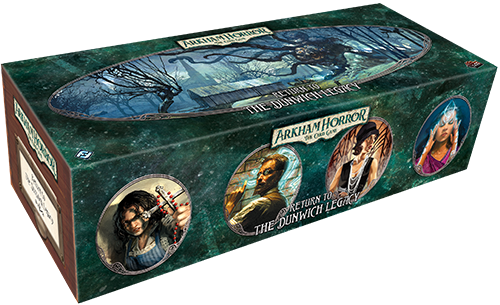 Pre-order your copy of Return to the Dunwich Legacy (AHC28) at your local retailer today or on the Fantasy Flight Games website here!